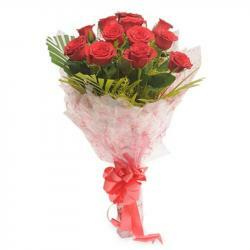 Product Consist : Bunch of 10 Red Roses along with Valentine Greeting Card. 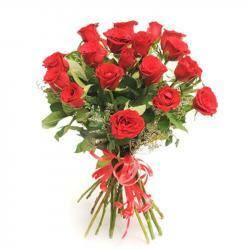 If your thinking to send something unique to your love one in India then this beautiful Blooming love. 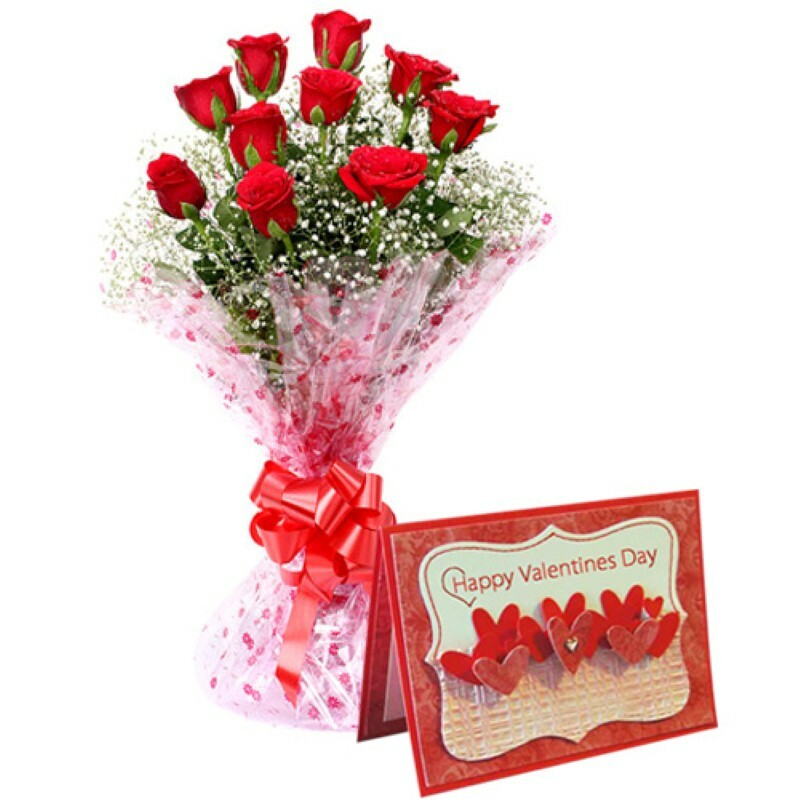 If you are looking for a mind blowing gift to make your beloved smile on Valentine day then here is an outstanding gift hamper for you. 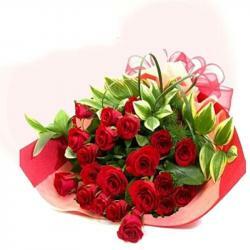 This lovely hamper Consist of a beautiful greeting card with romantic ten red roses bouquet. Send this ultimate hamper to your sweet heart of Valentine and give her beautiful memories to cherish forever. 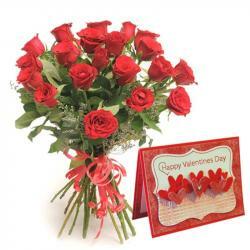 Product Includes : Bunch of 10 Red Roses along with Valentine Greeting Card.